Boundless - Create beautiful, dynamic, multisided web applications — without writing a single line of code. 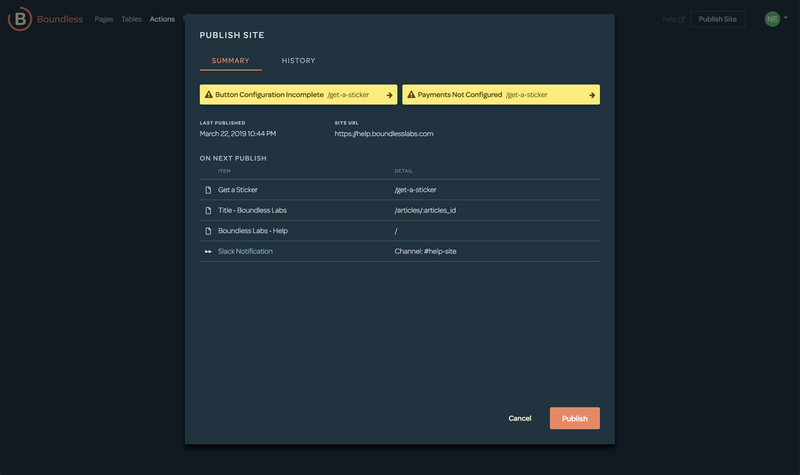 Boundless is a next-generation web builder that allows you to build an interactive web application without writing any code. 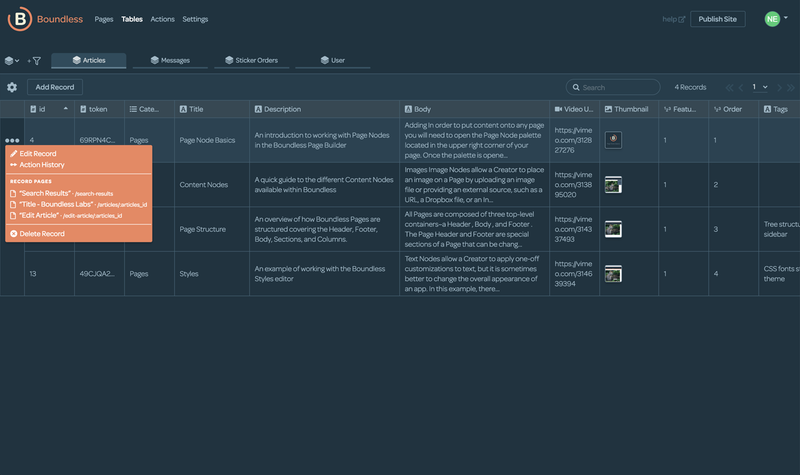 Create beautiful pages, save and redisplay user-generated content, and trigger custom workflows. Create beautiful, dynamic, multisided web applications — without writing a single line of code. The possibilities are boundless. From design comps to real pages. Your beautiful design doesn’t fit a generic template. Our page layout tools let you implement responsive, precise designs while seamlessly adding dynamic elements, interactions, and data-driven content. Data as simple as a spreadsheet. Or simpler. Rich web applications are built on data, and Boundless makes collecting, processing, and presenting data as easy as working with a spreadsheet. 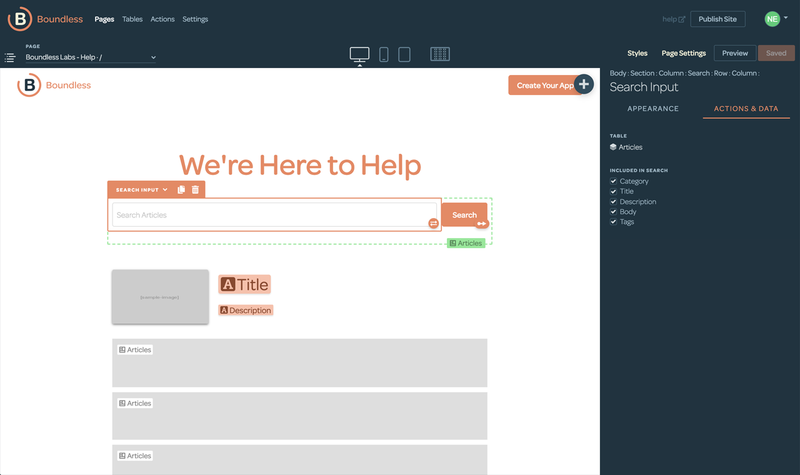 Add, edit, search, present: you get powerful tools for both your site's users, and its administrators. 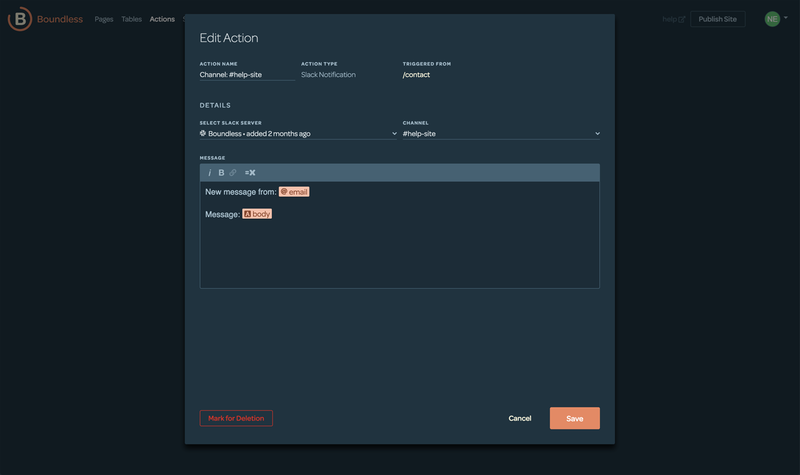 Sophisticated actions and interaction without writing a line of code. Send customers an email when an order is ready. Display lists of products tuned to each user. Build a multi-sided marketplace. A site built with Boundless is more than a collection of pages; it’s a full-featured web application.